Kill the routine! Get moulding with OSiS Thrill Fibre Texture Gum. Its magic, mega elastic fibres make styling seem fun and fantastic whilst offering brilliant texture with shine and separation. 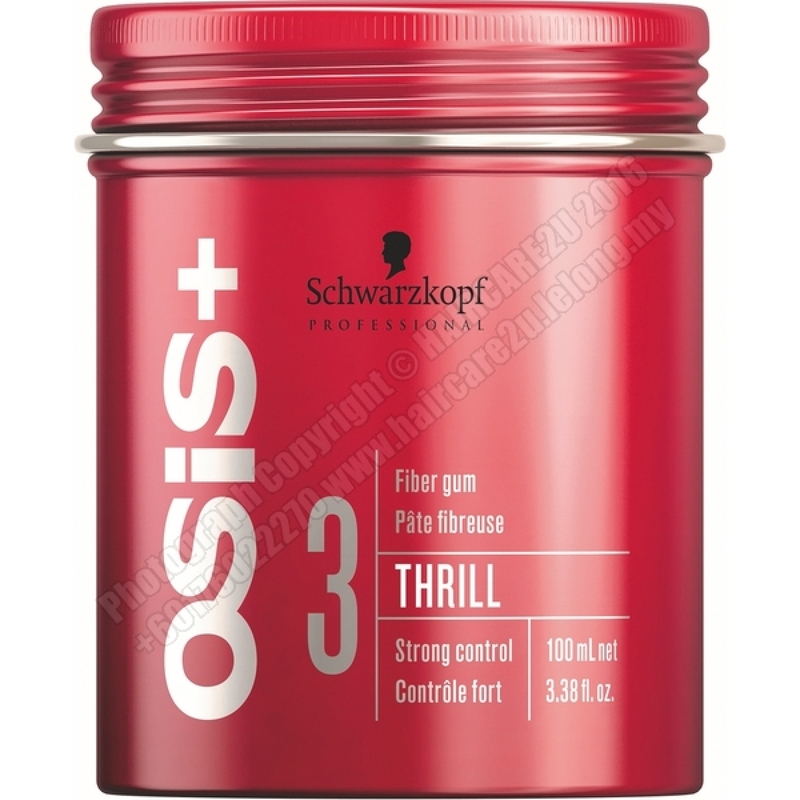 With its mega elastic fibre technology, OSiS Thrill Fibre Texture Gum gives you the freedom of flexible texture effect. It provides strong texture control, great shine and separation to leave your hair styled, bendable and mouldable. Thrill Fibre Gum has an OSiS Control Level of 3 for strong control, natural movement and style.